300 years of experience and more than $20B in new microelectronics revenues. EMAnetworks is a microelectronics, business development and collaborative venturing syndicate made up of industry leaders, entrepreneurs, investors and academics. Our vision is to help breakdown the barriers and build new world-class microelectronic companies in Europe. 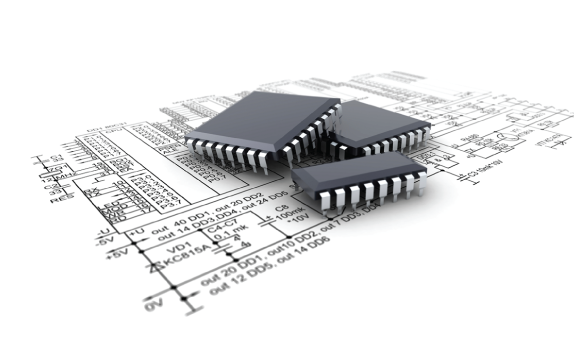 The EMAnetworks team is passionate about the European microelectronics industry. Collectively we have innovated and steered our semiconductor companies onto the LSE, NASDAQ & NYSE - through more than $20 billion of new sales revenues. Our team also includes a high profile BBC journalist and a highly regarded Enterprise Cloud executive. Through an altruistic approach our interests include helping new microelectronic start-up companies to get over the line. Help will come through more than 300 years of industry experience, expertise and our impressive industry networks that span the globe. We can lower the barriers by influencing the microelectronic ecosystem to offer-up multi-million dollar, risk sharing business models, and by making the warmest of introductions to the broader investor community. We will also be on hand to help local and national policy makers with regards to the opportunities and needs of the European microelectronics industry. So if you have identified, or if your business has identified a pressing unmet need where the barriers to being first in the market will rely on innovation in microelectronics, please register your interest and a member of our team will get back to you. The founders of EMAnetworks played an essential role alongside a group of semiconductor start-up companies in the UK that grew-up to become the biggest cluster in Europe. Following this success two of the founders launched Cre8Ventures™, which delivered an ROI of 12 for its parents, Mentor Graphics. The initiative provided a unique, million-dollar risk sharing business model, access to an industry Serial Entrepreneur syndicate and help with the route-to-funding and route-to-market. Cre8Ventures™ started in the UK and then grew to mainland Europe and India. Whilst working for the leading Electronic Design Automation (EDA) incumbent Mentor Graphics (NASDAQ: MENT), Carson Bradbury innovated and led a collaborative venturing vehicle which provided Mentor the transparency it needed to engage 'off the radar', high growth start-up companies. Mentor backed EMAnetworks through the Secondment of Carson Bradbury and multi-million dollar risk sharing business models. "We enable companies to develop better electronic products faster and more cost-effectively. Our innovative products and solutions help engineers conquer design challenges in the increasingly complex worlds of board and chip design." NESTA is the national endowment for science, technology and the Arts. Through its venturing arm its interests were to help lower the barriers to entry for entrepreneurs in the semiconductor industry. NESTA has therefore made a non-equity based investment in EMAnetworks. 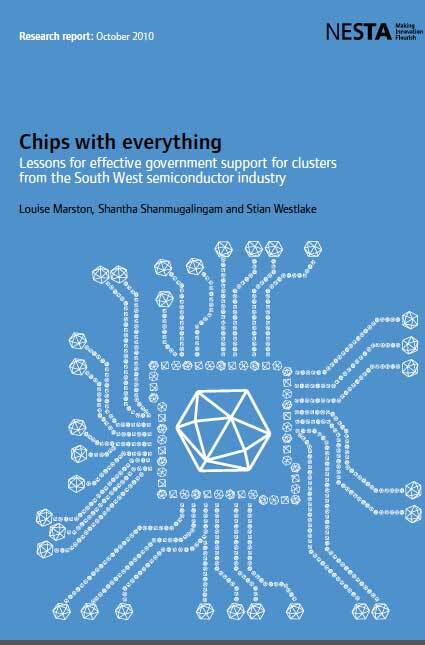 Publications (NESTA) - "Chips With Everything"
This report examines the semiconductor industry in the UK to identify how this cluster has grown over the past 30 years. Challenges facing the semiconductor industry include difficulties in recruiting good quality graduates, access to finance for start-ups and creating incentives for growing large companies in the UK. The industry has created a number of skills and research initiatives. But there are some issues, which fall to government to resolve. Investment in networks, whether university or private sector-led, can help grow clusters. Incubation models can work to promote growth of new companies. The success of these interventions depends on sustaining the small base funding that supports such networks and incubators. The UK has a vibrant semiconductor industry. UK companies compete in global semiconductor markets by combining technological innovation with business model innovation. In doing so, these companies make an important contribution towards the UK’s economic success, with the UK semiconductor market worth $6 billion in 2009 – third in Europe, behind France and Germany. Equally the industry has an important impact at the regional level, and the South West semiconductor cluster is one of the largest silicon design clusters in the world. This report examines the challenges facing the South West’s semi-conductor industry in order to increase understanding of how government, with very limited resources, can effectively support innovative, high-tech companies and regional clusters. Our Headquarters are based close to Guildford in Surrey (United Kingdom) but our team are located across Europe.